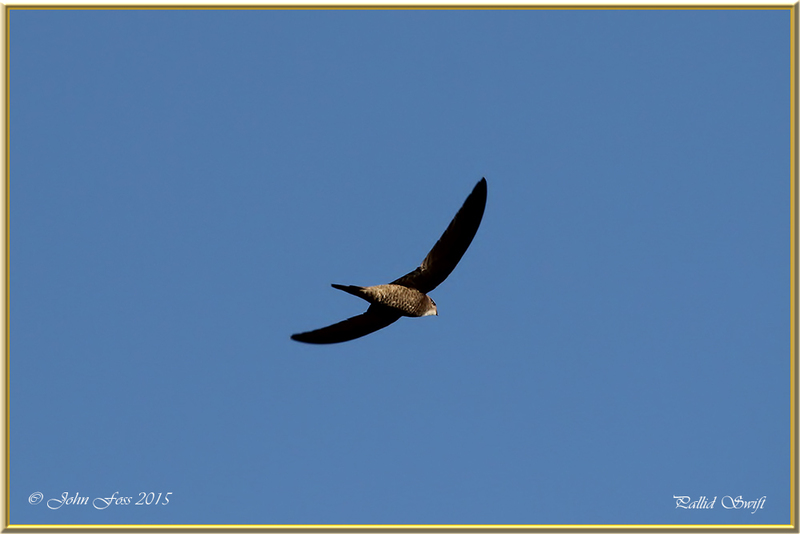 Pallid Swift - These swifts are lighter in colour to our species. In contrast they have mottled light brown underparts and a white throat patch which distinguishes the species. Flying at terrific speeds it becomes very difficult to capture an image. 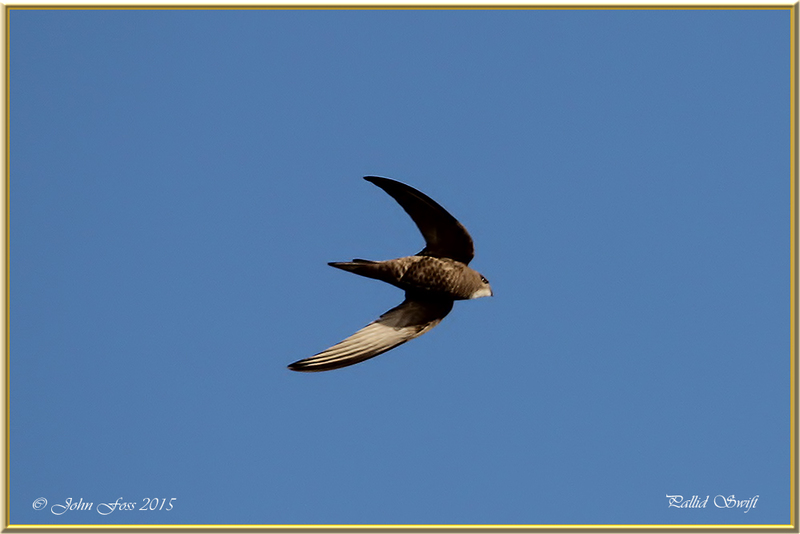 As with all swifts they have very short legs as most of the time they are on the wing catching flying insects and also drinking in the air. They winter in Africa and breed on cliff edges and buildings around the Mediterranean areas. I came across these birds in the Algarve at Cabanas De Tavira in Portugal streaming over the salt marshes.